Looking for fast food that’s fresh, good food? Baja Fresh Mexican on NE 3rd Street in Bend has you covered. Baja Fresh is passionate about serving the freshest, highest-quality Mexican food in a bright, clean atmosphere. They believe in real Mexican food made with passion, for real people. Food that’s always prepared by hand from real recipes and real farm fresh ingredients, not from a can and never crammed with fillers. 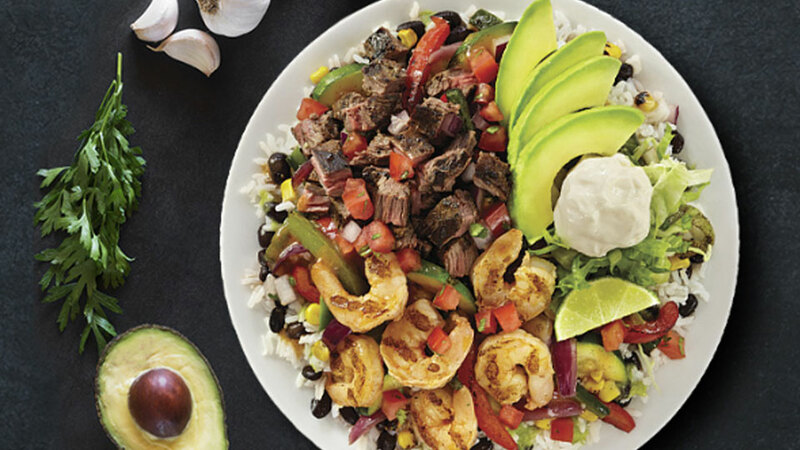 Baja Fresh serves up lunch and dinner seven days a week, with eat-in and take-out options available, as well as catering packages for big crowds. Menu items include burritos, tacos, taquitos, nachos, fajitas and quesadillas. On the lighter side you’ll find soups, salads and Baja Bowls. An extensive kids’ menu will please even the pickiest eaters, and all items are prepared fresh and made to order just for you. True Fresh fans, join Club Baja today and get a free taco and hundreds of dollars in savings each year, plus a special treat each year for your birthday. Get fired up and make Bend’s Baja Fresh Mexican restaurant a part of your active daily lifestyle.